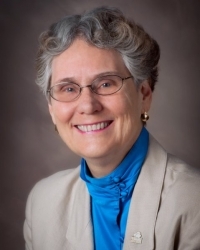 Baldwin, MD, April 13, 2019 --(PR.com)-- Marilyn E. Maze, Ph.D. of Baldwin, Maryland has been recognized as an Honored Member by P.O.W.E.R. (Professional Organization of Women of Excellence Recognized) for her outstanding contributions and achievements for over 40 years in the field of counseling. Dr. Maze was recently featured in the winter issue of P.O.W.E.R. Magazine. About Marilyn E. Maze, Ph.D.
Marilyn Maze, Ph.D. is a highly experienced presenter and developer of training materials who has worked in education, non-profit, and, for-profit environments. She is a Principal of PsyCoun Consultants LLC and the Executive Director of the Asia Pacific Career Development Association. Dr. Maze designs effective training materials for specific populations. She has designed and developed materials used by millions to develop career goals and enhance personal skills. She delivers training appropriate to the setting. Her training experiences have included high school, college and graduate levels as well as domestic and international conferences and webinars. Dr. Maze has organized the annual APCDA Conference since its inception, conducted numerous research projects on hot labor market and career counseling issues, and presented at international conferences. Her responsibilities include counseling counselors, human resources, career development and helping clients with a different career path. Dr. Maze mentors colleagues while serving on profession boards. As a board member for 4 different professional associations, she has worked with potential board members to improve their leadership, planning, financial, and time management skills. Marilyn received the President’s Award from NCDA in 2016, the NCDA Credentialing Commission Service Award in 2016, and the Lifetime Achievement Award from the Maryland Career Development Association in 2010. Dr. Maze formerly developed the ACT Profile (previously called DISCOVER). After obtaining a B.A. in Mathematics from the University of Florida and a M.A. in Student Counseling and Personnel Services from San Francisco State University, Marilyn completed her Ph.D. in Counselor Education at the University of Maryland College Park. Previously, she served in positions with Act, Inc. and Ciasa, Career Information and Software Associates. For further information, contact http://psycoun.com/ and asiapacificcda.org.